The ruins of Mesocco Castle are among the largest in the canton as they sprawl over the entire top of a small mountain. The walls form an irregular pentagon with five towers. 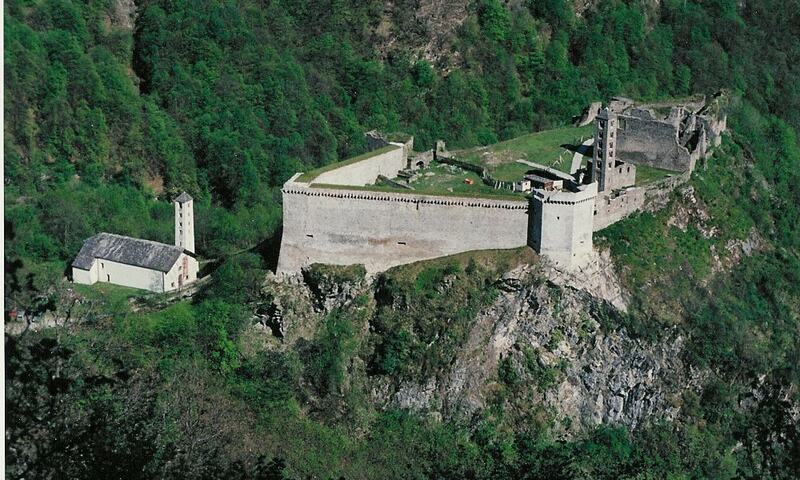 The interior of the castle was home to the noble family von Sax and his soldiers as well as armories, a foundry, a bakery, a dairy, a cistern and a charnel house. At the foot of the castle is the Church of Santa Maria al Castello. The church was first mentioned in 1219. It houses several frescoes from the workshop of Seregnesi from the mid-15th century.